A new world record for recordings at auction. 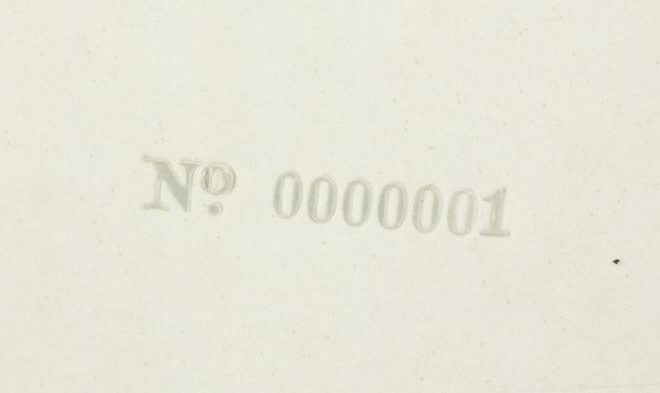 Ringo Starr’s personal copy of the White Album, numbered 0000001 sold yesterday at auction for $650,000, which following buyer’s premium, stacked up to a record-breaking $790,000. According to Julien’s auction house, the previous record was held by an Elvis Presley acetate that took $305,000. It’s common knowledge that the Beatles’ received the first four copies of the album, but until the auction was announced it was not known that Starr owned the very first printing, no.0000001. The ultimate trophy for a Beatles’ collector, Starr kept the record in a London bank vault for over 35 years. Prior to this sale, the lowest numbered UK first mono pressing album to come to market was no.0000005, which sold in 2008 for close to $30,000. The buyer is unknown and the sale was part of a massive three-day auction of items owned by Starr and his wife Barbara Bach. All proceeds go to his Lotus Foundation which raises funds aimed at “advancing social welfare” from child and family issues to homelessness and substance abuse.